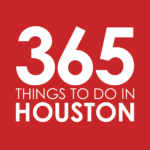 Make the most of your month with our list of our 15 favorite events and happenings in Houston during July 2015. When the heat’s not heavy, then the storms are in Houston this summer. Either way, we know that you’re looking for fun ways to cool off and stay dry. From seeing your favorite artists perform live in concert to geeking out at the Space City Comic Con, you’ll be able to beat the July heat at these indoor events. If you’re up for battling the humidity, it’s worth it to celebrate Independence Day at various parties and parades, enjoy concerts on the beach in Galveston, eat your way through the Houston food truck scene and see Frozen’s Idina Menzel perform outdoors. Events are not ranked, but are listed in the order they start during the month of July. Garth Brooks in Concert at the Toyota Center | Friday, July 3 and Saturday, July 4 – See the one and only Garth Brooks perform with his wife Trisha Yearwood when their World Tour comes to Houston for four performances. 4th of July Celebrations Around Houston | Friday, July 3 to Sunday, July 5 – Show your patriotism at one of the many Independence Day celebrations happening around Houston. Bands in the Sand Concert Series in Galveston | Every Friday and Saturday evening – Put your toes in the sand or float the lazy river as local and regional bands play during this concert series and fireworks show every Friday and Saturday night through Saturday, August 8. Anthony Bourdain Live at Jones Hall | Wednesday, July 8 – Chef, author and TV personality Anthony Bourdain is heading to Houston for a night of entertainment at Jones Hall as part of his 2015 North American Tour Close to the Bone. Greater Houston Indian Festival at Discovery Green | Saturday, July 11 | FREE – Immerse yourself in the food, music, dance, culture, spirituality and color of India at this free evening festival celebrating India’s biggest celebration of the year Rath Yatra, or Chariot Festival. Houston World Series of Dog Shows at NRG Center | Wednesday, July 15 to Sunday, July 19 – Talented canines will showcase their skills for all to see during this dog show that features seminars, exhibitions and shopping. Imagine Dragons in Concert at Toyota Center | Thursday, July 16 – Grammy Award-winning rock band Imagine Dragons land in Downtown Houston as their Smoke + Mirrors Tour brings them to the Toyota Center. Watermelon Festival in Hempstead | Friday, July 17 and Saturday, July 18 | FREE to attend – Hempstead’s 26th Annual Watermelon Festival includes a BBQ cook off, cake decorating contest, dog show, parade and lots of watermelon eating. Carnival opens Thursday evening, July 16 at 5pm. Best Damn Food Truck Festival Ever at NRG Park | Saturday, July 18 – Gather ‘round your favorite restaurant on wheels during the Best Damn Food Truck Festival Ever for beer, music and made-to-order food. Julydoscope at Discovery Green | Saturday, July 18 | FREE – Dance performances, film screenings and art come together for this event put on by the Houston Cinema Arts Society. Fall Out Boy & Wiz Khalifa in Concert at The Cynthia Woods Mitchell Pavilion | Friday, July 24 – Check out The Boys of Zummer Tour featuring Fall Out Boy, Wiz Khalifa and Hoodie Allen when they take the stage at The Cynthia Woods Mitchell Pavilion. Space City Comic Con at NRG Center | Friday, July 24 to Sunday, July 26 – Calling all fans of comics, Cosplay, sci-fi, fantasy, gaming, literature and art to the Space City Comic Con at NRG. Idina Menzel in Concert at the Cynthia Woods Mitchell Pavilion | Friday, July 31 – See Tony-winner and the voice of Frozen‘s Elsa when the Idina Menzel World Tour comes to The Woodlands for one night only. The Pancakes & Booze Art Show at Warehouse Live | Friday, July 31 – Snack on all-you-can-eat pancakes while jamming out to live DJs and viewing art from over 100 artists at Warehouse Live. Still looking for more ideas? Search our full Events Calendar, by date, location and type of event.